Few neighborhoods have seen property values climb as quickly as they have in Bedford Stuyvesant, the brownstone Brooklyn neighborhood bordered by Prospect Heights, Williamsburg, Clinton Hill and Bushwick. Let’s take a closer look: 53 Hancock Street, a 2,916 square foot brownstone sold for $1,240,000 in June 2010. In May 2014, a 2,700 square foot brownstone on Clifton place, seven blocks south, closed for $1,600,000. 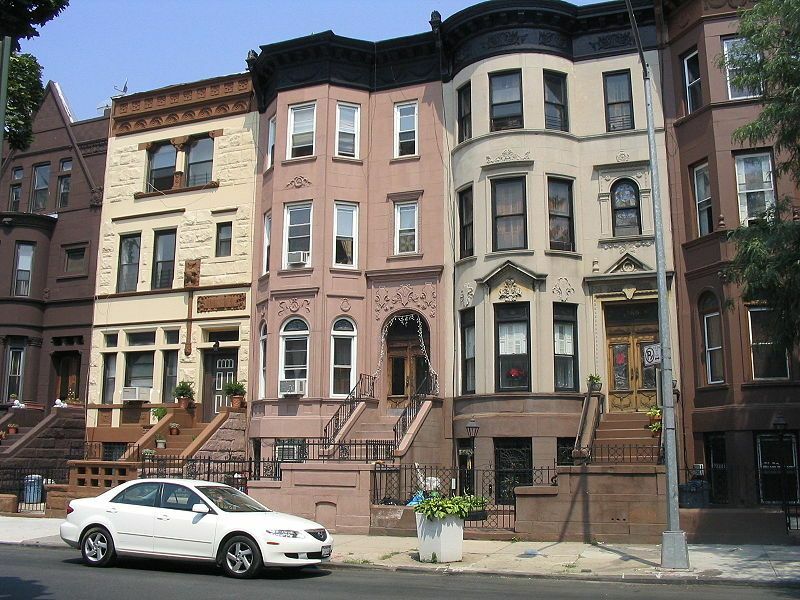 Better known as Bed Stuy, the tree-lined neighborhood—built to accommodate upper middle class families in the late 19th and early 20th centuries—became crime ridden by the 1960s through to the 1980s, but is now attracting buyers from A-list neighborhoods, with incomes to match. Long-time owners are now sitting on more value than ever before. Today, Bed Stuy’s most expensive condo has just hit the market at $1,899,000 in a converted townhouse on Gates Avenue between Franklin and Classon. The four-bedroom, three-bath duplex at 252 Gates Avenue is 2,273 square feet and occupies the garden and parlor levels of a Parfitt Brothers-designed Queen Anne townhouse. Also of note is Lofts 58 at 105 Lexington Avenue, where a 1581 square foot, 3 Bedroom closed for $1,199,000 ($758 SF) on December 17, 2013, making it Bed-Stuy’s most expensive condo sale to date. 315 Gates, a new condominium development brought to market by MNS in 2011 at $500 a square foot, has shown a 50-percent increase in price to $750 a square foot in three years. At 111 Monroe Street, a 950 square foot 2-Bedroom closed for $740,000 ($779 SF) on February 19th, 2014. The unit originally sold in September 2010 for $469,482, a 63% increase. Bed Stuy’s classic brownstone and federal brick homes, are trading at an all-time high, with prices as high as $2 million for a mint-condition brownstone with original detail. Consequently, the area is attracting residents with incomes significantly higher than the traditional residents of the area. Today, for someone buying a unit between $500-$800, the average income is at least $150K-$250K. “People can’t get enough of Brooklyn and Bed Stuy is prime,” says Douglas Elliman’s Jerry Minsky, an agent who’s been specializing in brownstone Brooklyn for more than 20 years. Mr. Minsky describes the new Bed Stuy buyer as having an annual income between $300K-$500K, with substantial savings. Unlike the all-cash buyers from 2-3 years ago, these individuals entered the mortgage market very successfully—and they are end users. The biggest effect on the mortgage market is for a loan to be qualified. This means 43 per debt to income, not interest only, and buyers have to show they can pay that mortgage back. Now that those rules have been defined, banks have to decide to sell those products or nonqualified mortgages, which becomes a huge secondary market. It’s going to lead to more liquidity. Even these are 10-percent down, but it’s just what makes sense. The rules are defined for mortgage banks in terms of what they can and can’t lend and more banks are coming in offering mortgages to the masses, so it’s becoming easier.